Greece, land of windmills, white marble, the Parthenon and Ouzo liqueur, is also an ideal destination for solo female travelers. It’s a relatively safe country and a hot spot for other solo travelers during high season between May and September. Because Australia’s winter falls during Greece’s summer, young Aussies venture over to surf, party and island hop, too. You’ll be in good company. It’s easy to make friends as you move between the cities and islands, so you’ll never really feel alone. But, building confidence as a solo traveler requires flexibility and openness to making mistakes. So far, I’ve dealt with my mistakes through a combination of luck and sense of humor. Greece is easy (and a blast) to navigate but here are five tips about solo travel in Greece you should know before you go. 1. The Greek police aren’t always your friends. After a run-in with Greek police about a friend’s stolen camera, I discovered that foreign law enforcement doesn’t always respect foreign visitors. I learned the hard way that my rights stay in the U.S. upon departure. It sounds jaded, but don’t trust any one, including foreign police. The more experience you have traveling the better your instincts become. But generally, Greece feels safe, most people speak English and tourism is the staple summer industry so the country is a perfect playground to hone these instincts without feeling too outside your element. 2. Don’t overdo Athens. Athens, steeped in layers of historic ruins, is a traveler’s must-see. But, it’s also dirty, crowded, sweltering in the summer and infamous for pickpocketing. Even in the well-lit metro I felt like a walking bull’s-eye for thieves and sketchy people. I’d recommend not spending more than one or two days here if you’re traveling alone. Every time I’m in Athens my instincts are inexplicably on edge. Plus, in conversations with other travelers, I’ve found most wish they would’ve spent less time in Athens and more time in Northern Greece, or on the islands. Don’t be afraid to branch out to cities outside Athens. 3. Have a flexible agenda. The best part about Greece is the ferry system. While it sometimes has a reputation for being delayed, ferries run frequently in the summer and tickets are affordable (usually less than 30.00 euros). Have a flexible agenda and buy ferry tickets as you go. I decided to stay on Ios Island for an extra day on my first trip and made it back to Athens in time to fly out. If you feel like tacking on extra time, or changing locations earlier, the ferry system makes travel easier. Plus, with a flexible agenda there’s much less anxiety about making prearranged transportation deadlines. 4. Visit the Islands. 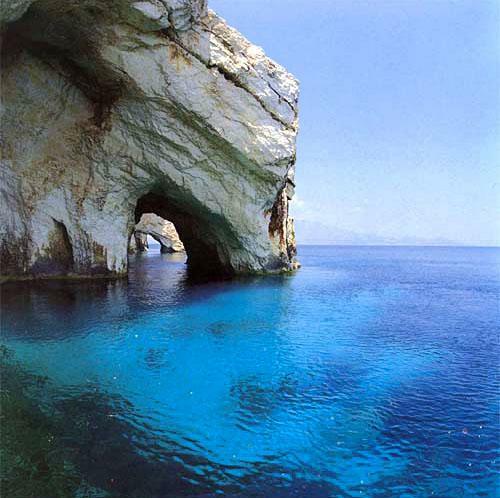 The Greek Islands are one of my favorite places to travel in the world. Island culture for travelers involves backpacking from hostel to hostel and soaking up rays on the beaches (or on ferry boat sun decks). It’s a traveler’s dream. 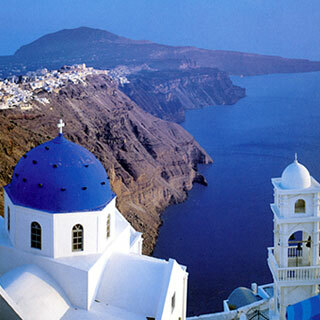 The main islands, Santorini, Ios, Mykonos, and Corfu are the places to party in the Grecian summer. But beyond discotecs, each of these islands also offer water sports, hiking, mountain climbing, biking and other outdoor adventure sports. Rent an ATV or moped scooter to get from beach to beach. 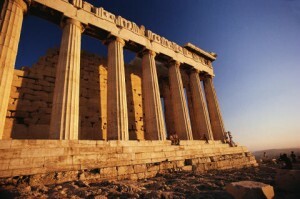 Travelzoo offers cheap flights directly into Athens. From Port Pireaus you can take a ferry out to the islands, or check out flights to Bodrum for a more affordable location logistically closer to some Greek Islands. 5. Travel solo, tuck in with travelers similar to you. People tend to be curious about me as a solo female traveler. And I relate well to guys. For a portion of every Greece trip, using that combination, I’ll tuck in with a group of other male travelers, and often make life-long friends. I still feel independent because I’m not obligated to stay with them, but having other people around makes feel less like a target. Figure out your social strengths and play off them when you travel. Look for travelers similar to you. A group of Miami boys changed their plans to meet up with me a few days after we met, and as travel-luck would have it, we found each other on Santorini at the end of the week—just in time to catch the gorgeous sunset before driving back under the Greek streetlights on our rented ATVs. I still keep in touch with them, two years later. But remember above all, though stretching your comfort zones is a part of solo travel, never put yourself in a situation where you’re so uncomfortable that your safety is on the line. Great post! I was lucky enough to spend a week in Greece with some friends over spring break in 2009, and I felt like your article really nailed how I felt toward the end. My one regret is that I didn’t go up into Northern Greece, but at least we did get out into the islands for a few days. Great tips! I spent three months solo in Greece last summer. Definitely don’t overdo Athens. It’s really only worth one, maybe two days. Mykonos was my favorite for a solo single gal. The men made me feel very appreciated! I agree about the don’t overdo it with athens fact. I’m athenian and though i love athens as it is the city i was born, i also think there’s nothing else to see there about the ancient monuments. It’s true it’s dirty and it lacks greenery. All the other cities in greece are just beautiful. The islands and northern greece really worth it. I meant the monuments in athens are worth seeing, but the rest of athens is not anything special. The main problem I think with Athens is that tourists just go to places for tourists. Everything out of their comfort zone is just not worth it especially when you can spend the rest of your vacations in some island. It’s not surprising that I avoid the city’s center in the summer as I can’t stand the tourist crowd. In any case it worthy your while to visit the northern suburbs, the fields of the old palace, get a drink or two at night in gyzi or just visit areas of the city with a Greek. Unfortunately every notion to create a European metropolitan city vanished back in the twenties after the budget went for the over one million immigrants from the Asia. Minor… In ay case, if you want to explore Athens properly a tourist guide won’t do.